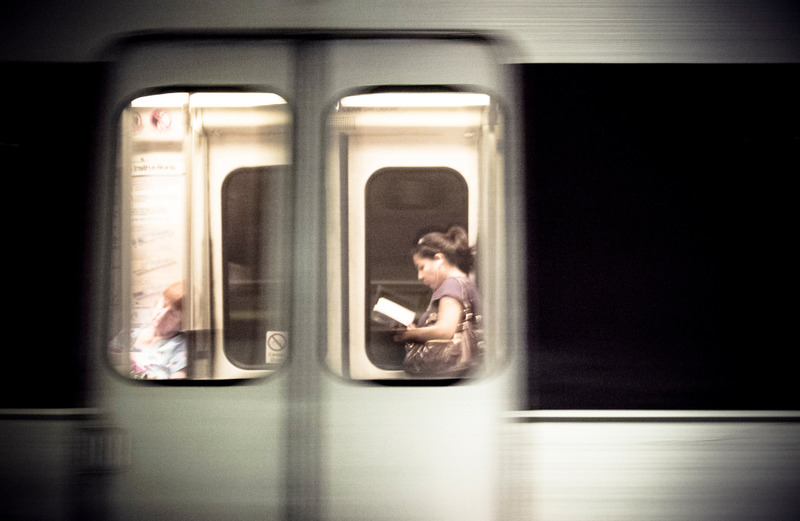 This photo was made in Washington DC’s subway, as I stood there and waited for my train to arrive, I decided to shoot some photos of the arriving trains to kill time. It is a lucky shot, cause you are just standing there with a manually locked focus on the distance to trains and shooting away at the ones passing by, and most of your photos are pure crap and not for any use, but as the saying goes you gotta seek out your luck, so I did. The ISO is relatively high (3200 as you can see the info below the image) because there isn’t that much light on a subway station, and a high ISO makes a lot of noise, but for once it didn’t bother me that much, I actually added more grain in the post process. I also did some adjustments on the colors and used a high-pass sharpen on the window areas. Go, going, gone by Bo47 is licensed under a Creative Commons Attribution-NonCommercial-NoDerivatives 4.0 International License.